c11 didn't really become available until gcc 4.7. My C9 instance report 4.4.7. Windows 7 output works fine. Lots of warnings however. Just copy what is listed in tiny size and paste in text editor, will be correct size then. I posted the same problem on c9 Blog a few days ago. From what I read, it is having conflicting versions of the same libs. Charles only posted the his code here today so I'm not sure what you're saying. Something very strange is going on with C9. 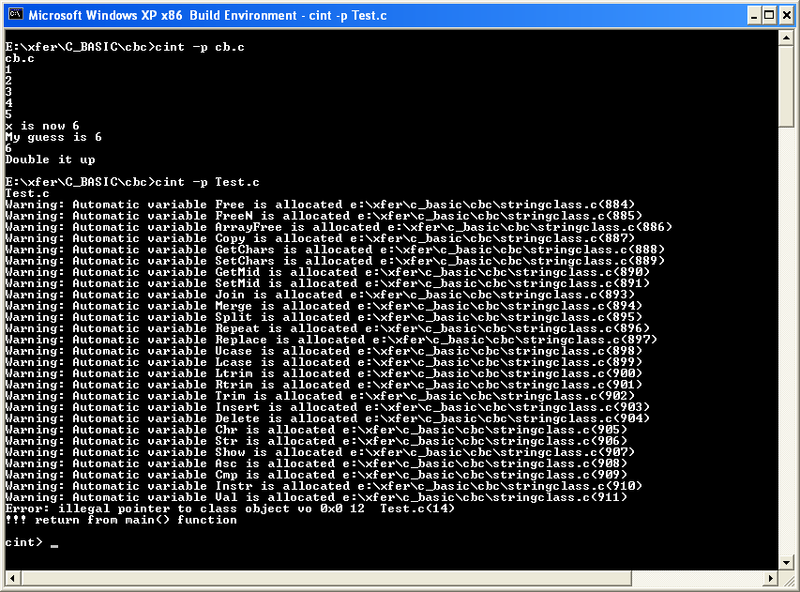 I'm getting the same error with my C BASIC simple demo. This compiled fine before. CINT isn't having a problem with it. The All BASIC C9 workspace is hosed. 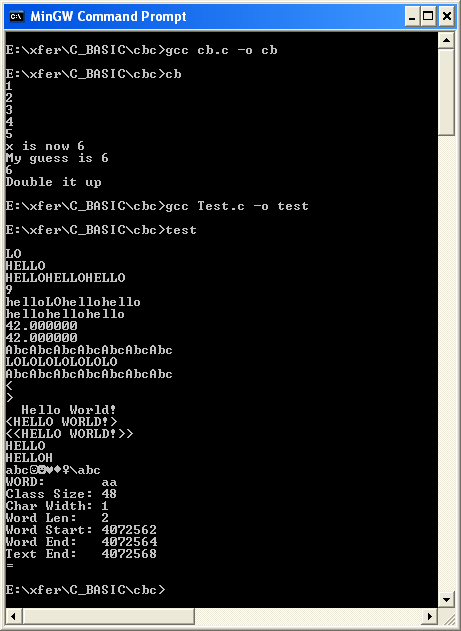 I went to another workspace and my cb.c example compile with gcc. I then tried Charles new class example. I tried both cb.c and Test.c on WinXP (VirtualBox) with MinGW32 (gcc version 4.7.1 (tdm-1)) and it worked without issue. Here is CINT under WinXP. This compromises OOP notation, but its not serious, since it is generally more efficient to to work with dreferenced methods. I don't think that changed anything. Which gcc are you using John? my 4.7.0 does not protest. If works fine on Ubuntu. Only Red Hat / CentOS are complaining. AIR is having issue on OSX. No further ideas here. Sleep well! Does MacOsx or RedHat have problems with CRLF (ascii 13,10) line formats?